Lining through a bend can seem like a hard thing to do. 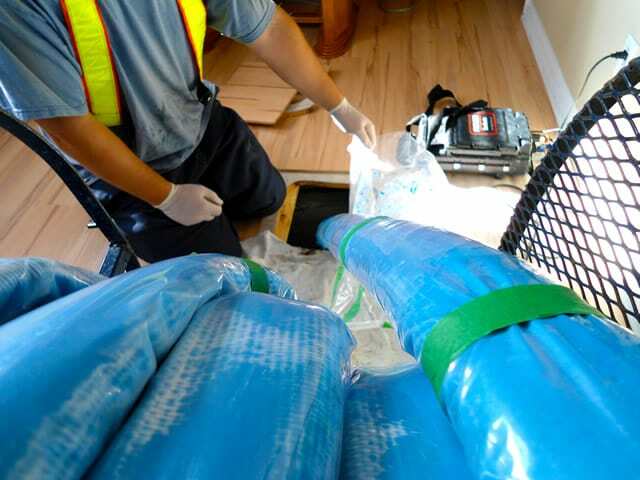 Our standard Formadrain liner can go through a bend until it hits 45 degrees. However, a specially designed bladder and materials can accommodate 90° elbows. Most tubes will leave a lip in the inner portion of the elbow’s radius, because they have a pre-determined size and excess material has nowhere else to go. No other pulled-in-place process can achieve such a repair. Formadrain’s specially designed fibreglass will conform to these, leaving no bad lip or excess material, all with the same thickness and strength the standard product offers.